Unlike the NFL Lockout, where EA Sports had rights to rookies for Madden NFL 12 regardless of whether there would be a season or not, the NBA lockout will cost its league licensed video game from introducing the incoming rookies. 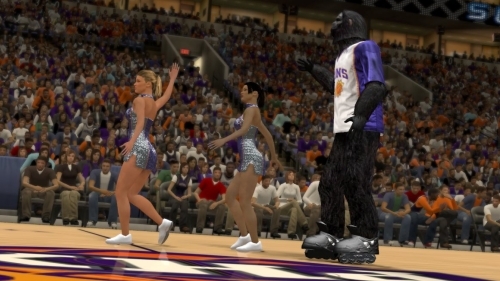 NBA 2K12 will not include any of the rookies drafted in June – as confirmed through a blog posting at Operation Sports from a long-time member who attended a PR event for the game yesterday. The plan would be to add the rookies through a roster update – but that could only be done once the lockout is lifted and at this point that seems unlikely to happen anytime soon. In the meantime players like #1 pick Kyrie Irving, #2 pick Derrick Williams, Kemba Walker, Jimmer Fredette and all those chosen in the 2011 NBA Draft will be absent from NBA 2K12. It’s an unfortunate situation and presents yet another reason why the company decided to put so much of their resources into the “legends” and historic teams. Those will transcend the current NBA – which now will not just be using rosters based on the end of last year but won’t even have the rookies to look forward to.